The fantastic educational tech conference that is ISTE is officially off to the races. It hard to pin down the official day one of ISTE, they have been doing things since Saturday…But today the Expo floor opened up, and that seems as good a place to start as any. 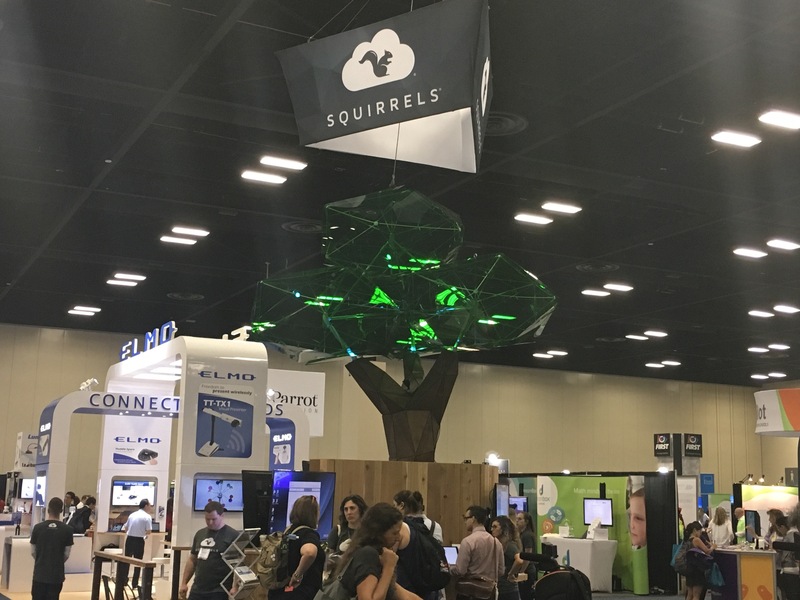 Pictured here is the Squirrels Booth – which had a tree! It was cool. What can Squirrels do? They make Reflector, which is a fun app that can be used to cast the screen from any tablet (Windows, Chromebook, iPad) onto a computer or monitor – as long as all of the devices share the same wifi. There are so many cool things that you can do with this; it’s not even funny. They have also developed some software that makes this easy to deploy in the classroom, where every student can share what they are doing. One of the things that got the ideas moving through my brain was found in the Playground area. There was a teacher that used green screens and all of the different artwork that she had created for her class to create fun videos for her students. And I am sure that during school, she had her students creating those videos to show off what they were learning. 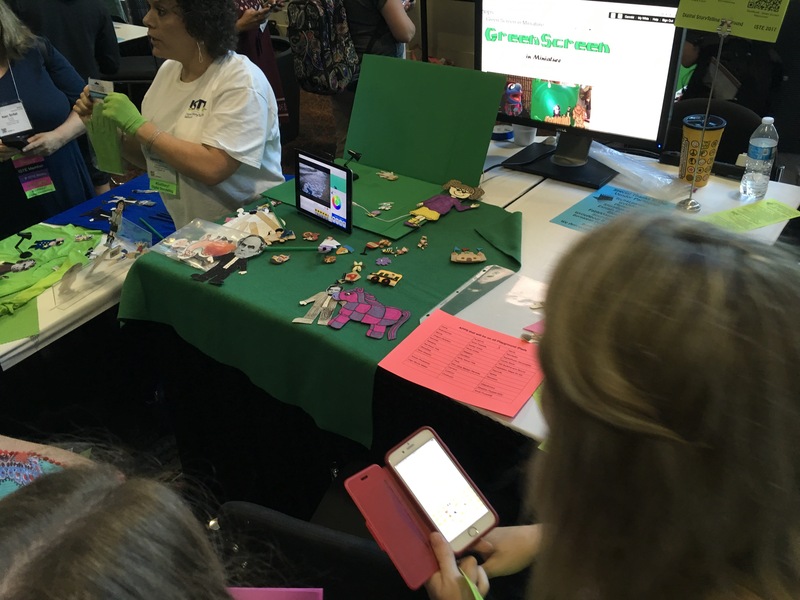 Here is an idea – when students are creating artwork about a particular period, author, historical event, whatever, have them tell the story of that event using Green Screen by Do Ink. Do you have older students? Have them use play-doh or Legos to recreate a scene from the book you just read, the country you just studied, or the biology of _________ that you recently discussed in class. Don’t have enough iPads for all of your students? Put them into teams. Still a problem? Let them use your iPad to show off what they have learned. 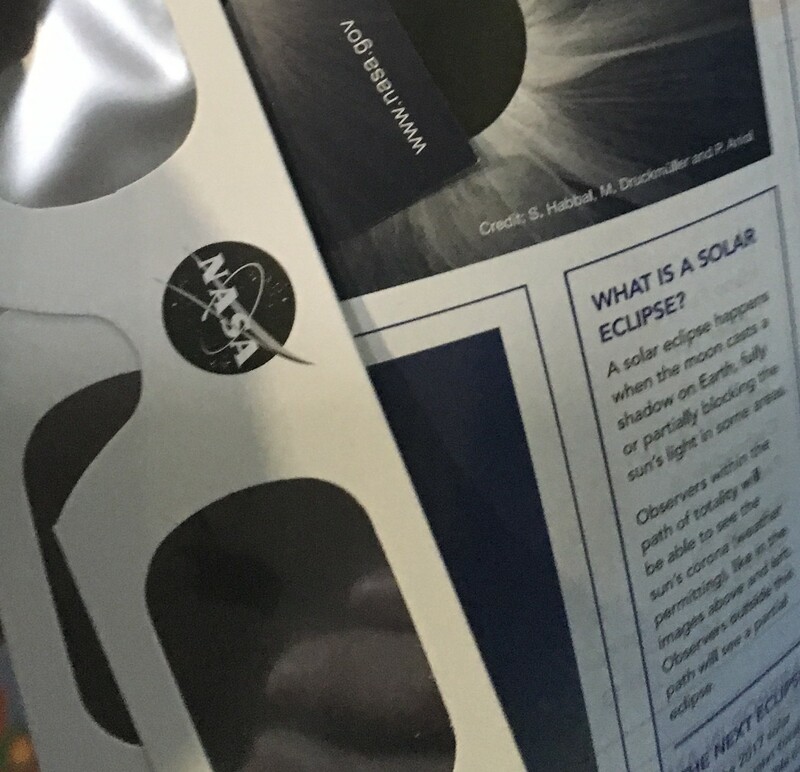 Another cool thing I came across was some unique sunglasses for viewing the lunar eclipse that is coming up in August. You should never look directly at the sun during an eclipse, but these sunglasses provide a way! Joining the sunglasses was a cool page that shared all kinds of science about what is happening during an eclipse. There were also directions about how to turn a regular cereal box into a solar eclipse viewer! If you are not sure how much of the sun will be blocked by the moon in your area, check out this handy map. This will be the first time in almost 100 years that there has been a full solar eclipse across the entire United States. I came across this cool website/app today while trying to soak in the Expo Floor. I spent some time watching what was happening. But it appears to be a platform that is very similar to Kahoot, yet offers some different features. 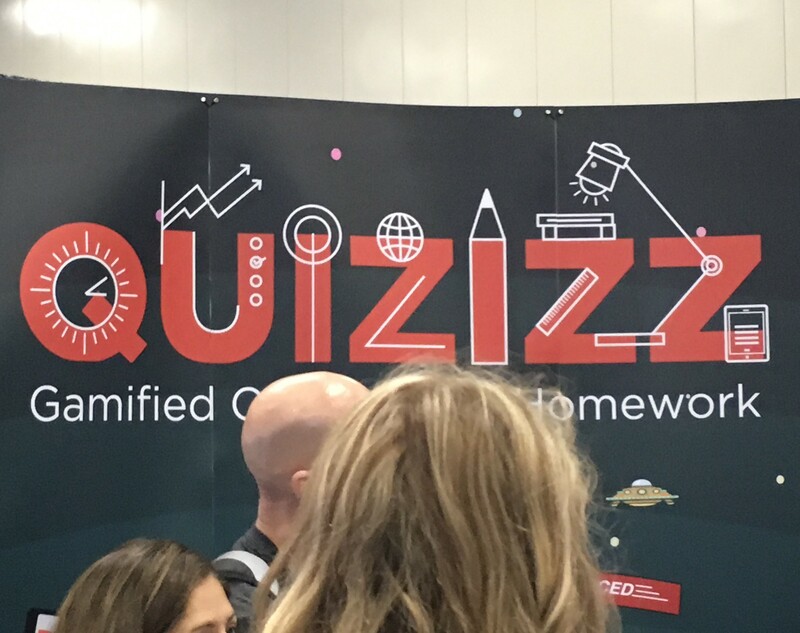 Quizizz lets you build your online quiz, then deliver it to your kids. Here is one big difference, not every participant has to be on the same question at the same time! You can set a timer for each question, but the time doesn’t start until the participant gets to that question. We all know that our students process learning at different rates, this platform allows for that to occur. It was pretty cool! And Free! 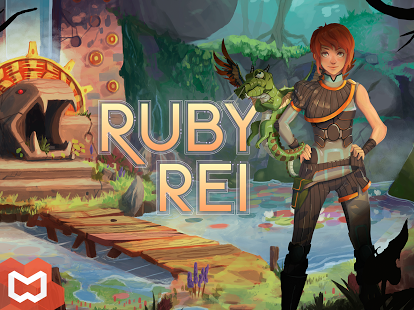 I stumbled across this fun app today called Ruby Rei by Wibbu. It immerses the player in another language! I took Ruby on a journey that was teaching me Spanish! I struggle with languages that are not math, but I played this a bit longer than I had planned. The environment is amazing, the story was getting my attention, and I was learning Spanish right from the start. As Ruby moves and interacts with her environment, you will hear phrases in Spanish, touch the screen and there is an English translation. Do you need to hear the sounds again? Hit the replay. I was impressed and can see some great ways to use this one in the classroom. Get it from your app store for less than the price of coffee from Starbucks. I was also able to get Google Cardboard – which can be used with your phone to take virtual tours. Not sure what this will look like? Go to the New York Times or Storyhive or go here to get some ideas. 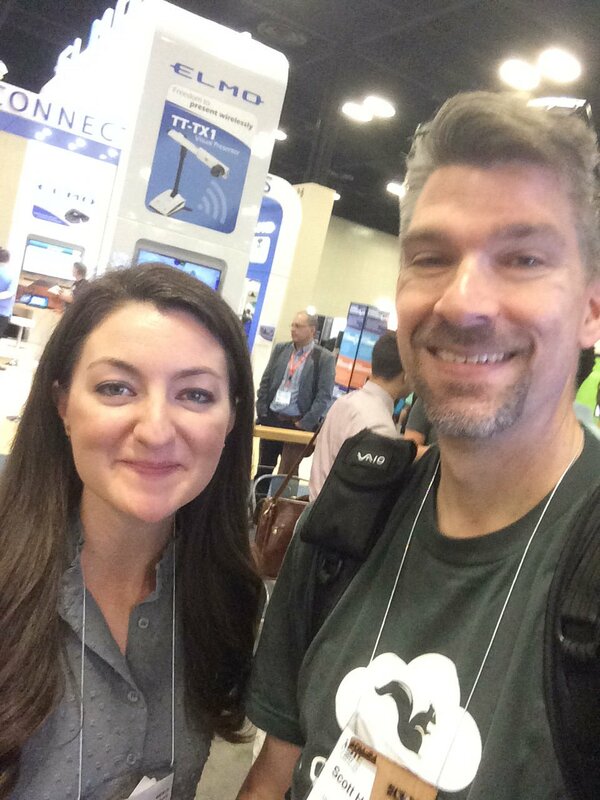 I got to meet Monica Burns from ClassTechTips. If you aren’t following her on the Twitters, you’re doing it all wrong. I visited with the guys from Wonderopolis – they have developed a neat place called Camp Wonderopolis. Free for teachers and fun for kids. Woderopolis shares one new wonder every day. They have short videos, thought-provoking questions, and vocabulary builders. It’s a cool website, but one that will work best for K-6 teachers. And I got to see these amazing kids play super fun music using only iPads! Holy Cow! This video will sound best through your headphones, but take a few minutes and enjoy how creative these students are!